From a Panchero’s Mexican Grill press release…..
(EAST LANSING, Mich.)—Class schedule? Check. New wardrobe? Check. A full stomach and full wallet? Check and check, thanks to Panchero’s Mexican Grill, where locals can ring in a new Michigan State school year with dollar burritos from 2 p.m. to 4 p.m. on September 8th at 125 E. Grand River Ave. The event, which this year will feature a 97.5 FM radio remote and free t-shirt giveaways, has been a staple of Michigan State students’ back-to-school routines for the past 17 years. According to Panchero’s founder Rodney Anderson, it’s just the company’s way of starting the academic year off on the right foot. Krispy Kreme is the best they could do? I guess since the Krispy Kreme in Lansing Township is boarded up, it’s something Lansing doesn’t have, but come on. How about Bojangles? Some good Carolina pork or something other than a baby blue donut and something you can’t get in Mid-Michigan. It’s about as good as Senator Stabenow putting Little Ceasars on the line. 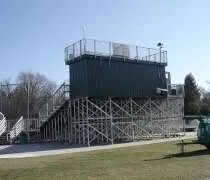 My long stretch of baseball/softball continued at Michigan State University’s Old College Field. This was a new facility for me. I’ve been to soccer at DeMartin Field next door and I’m really looking forward to taking in a game at the newly remodeled McLane Baseball Stadium, but I’ve never seen a softball game at MSU. The day started bright and early Saturday morning at the softball diamond which is between behind Jenison Field House and the Red Cedar River. Parking is located at Jenison and you have quite a hike to get back to the softball diamond. The field is situated between the soccer field and baseball diamond. WASHINGTON — Brimming with home state pride, U.S. Senators Debbie Stabenow (D-MI), Carl Levin (D-MI), and Kay R. Hagan (D-NC), have placed a friendly wager on the outcome of tonight’s NCAA Men’s Basketball championship between the Michigan State Spartans and the North Carolina Tar Heels. Levin and Stabenow are wagering Little Caesar’s pizza, Vernor’s ginger ale and Mackinac Island fudge. Hagan has offered authentic North Carolina food products: North Carolina Barbeque, Cheerwine and Hagan’s hometown favorite, Cheesecakes by Alex, from Greensboro. So, here it is. Friday night a little after eleven and I’m starving. It never fails. I think it goes back to my drinking days when I would order pizza or wings or something really unhealthy after a few beers. I’m not gonna go anywhere, but I start looking around Google to see what’s open and I come across this really cool website. It’s called Go Green Menus. It was acquired by three MSU juniors last August. 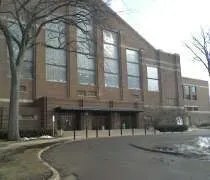 The website has a number of East Lansing restaurnts listed. The cool thing is you can search by dine in or carry out. From there, you select the type of cuisine you want. Then, a list of restaurants pop up along the side bar and it actually shows you what is open and what is closed. Once you find the restaurant you want, you can view a menu and it some cases even order online. What a great idea! The first one of these was built at Penn State University in 2002 and they’ve expanded the concept to other cities. A few weeks ago I was watching the 11:00 news and saw a story about the Michigan Business Tax. The reporter took the angle of what a new business has to deal with when starting up in Michigan. The business they chose to talk to was Brother’s Grill in East Lansing. Before that story, I had never heard of Brother’s Grill….and with good reason, they had just opened their doors that week. The later it gets in the week, the less I feel like cooking dinner. Before J left for work, I asked what she wanted and she didn’t really come up with anything. Before walking out the door, she asked if I just wanted to pick her up and we could go out to eat. I didn’t argue. 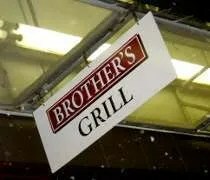 I suggested Brother’s Grill in East Lansing. The menu looked good and there’s not much info on the place on the web yet. She liked the idea so that’s what we did.